When I first saw pictures of Atlanta in Fashion Canvas (The blogger Francheska is a huge fan of hers), I thought she looked kinda like Rachel Bilson. I'm liking the styling in this ed especially the accessories. 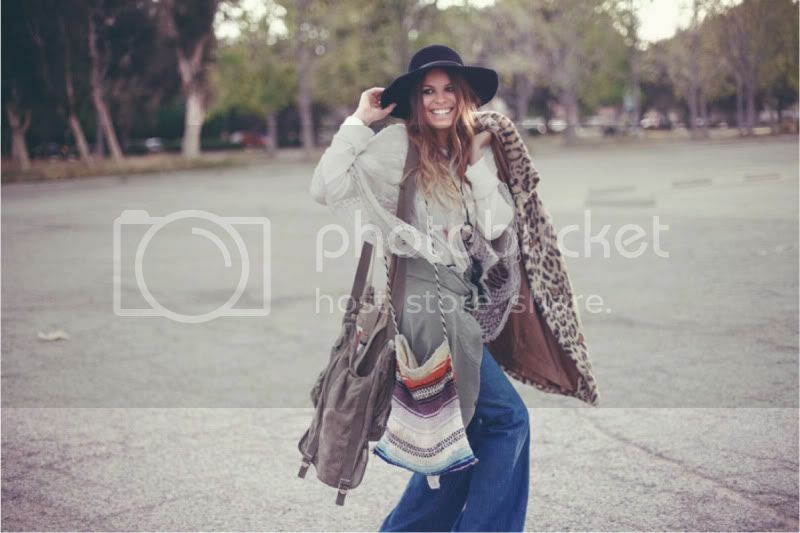 Love the outfit with the bags and leopard coat, very boho-chic. And how cute is the first outfit? Bodysuit + Oversized floppy hat + Multi-coloured wedges. So summertime! I LOVE the shoes in the first picture! Thanks for entering my Tatty Devine competition! love all the outfits in these photos, so inspirational! Atlanta is such a rockstar. Your blog is great, I have a feeling you may like mine too..